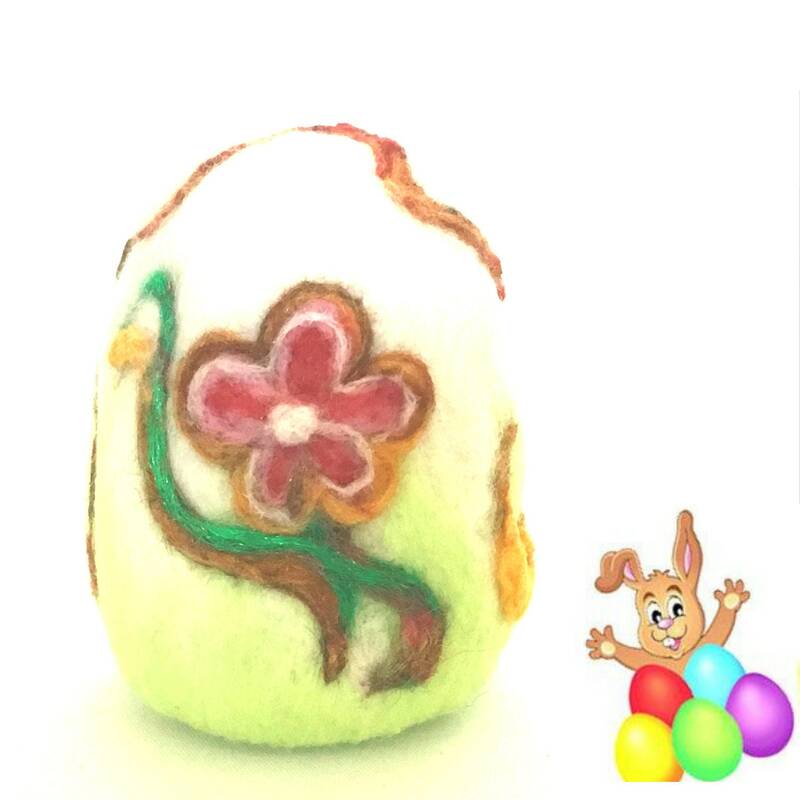 This pretty floral easter egg makes a lovely gift for someone who is diabetic or just cannot eat chocolate, and makes a great table decoration! 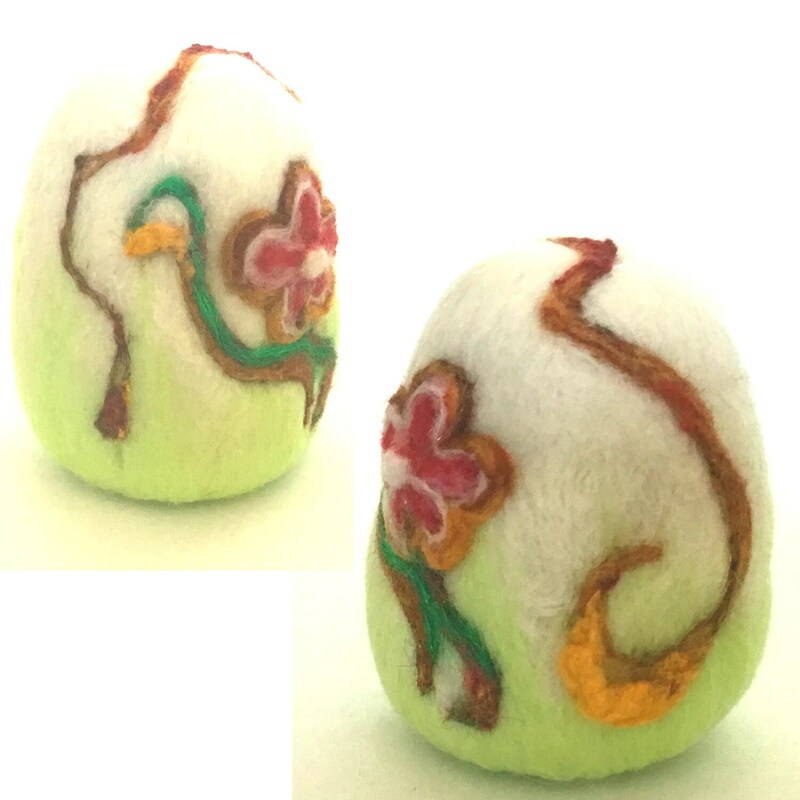 It is white with a multi coloured pink flower and brown green and gold vines that frame the flower. 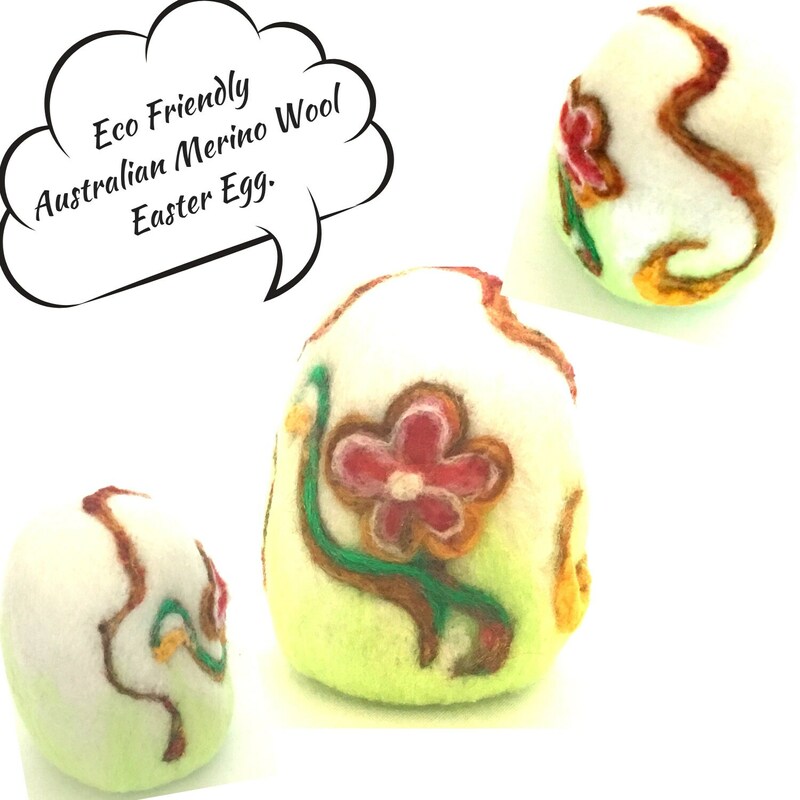 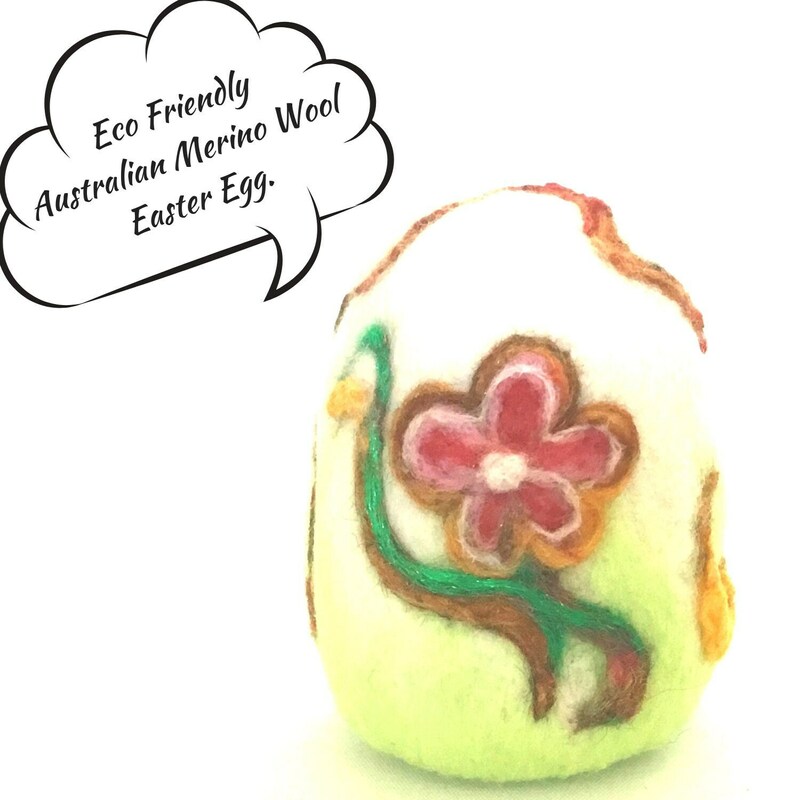 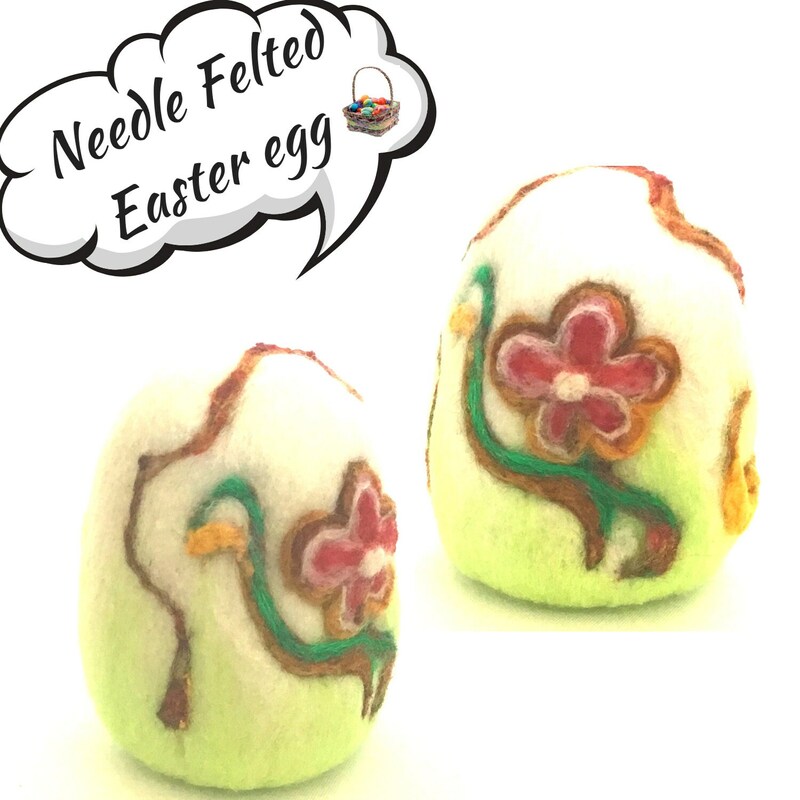 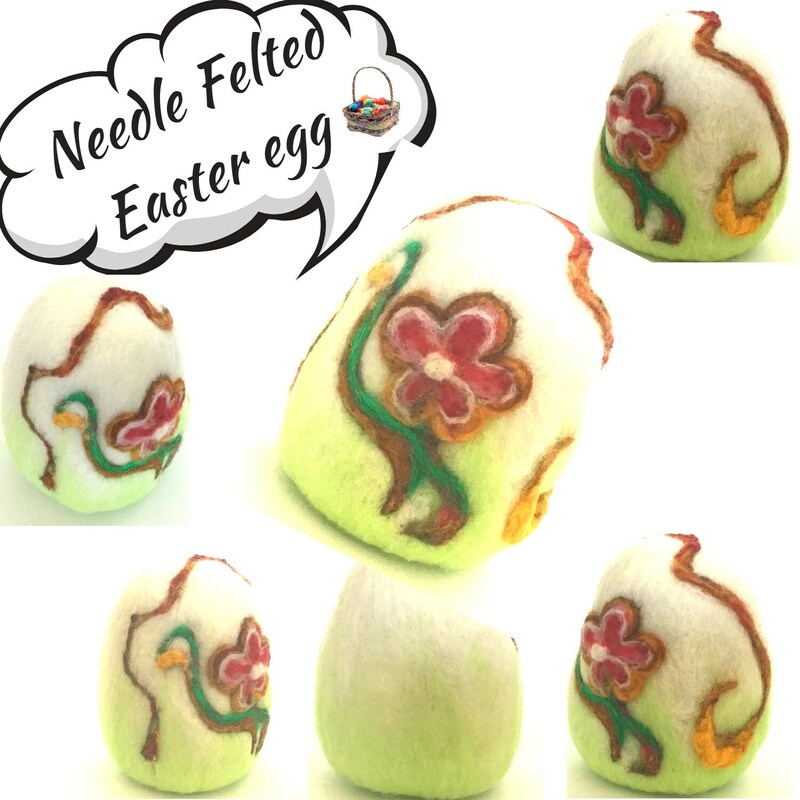 It is needle felted by hand from eco friendly Australian merino wool roving. 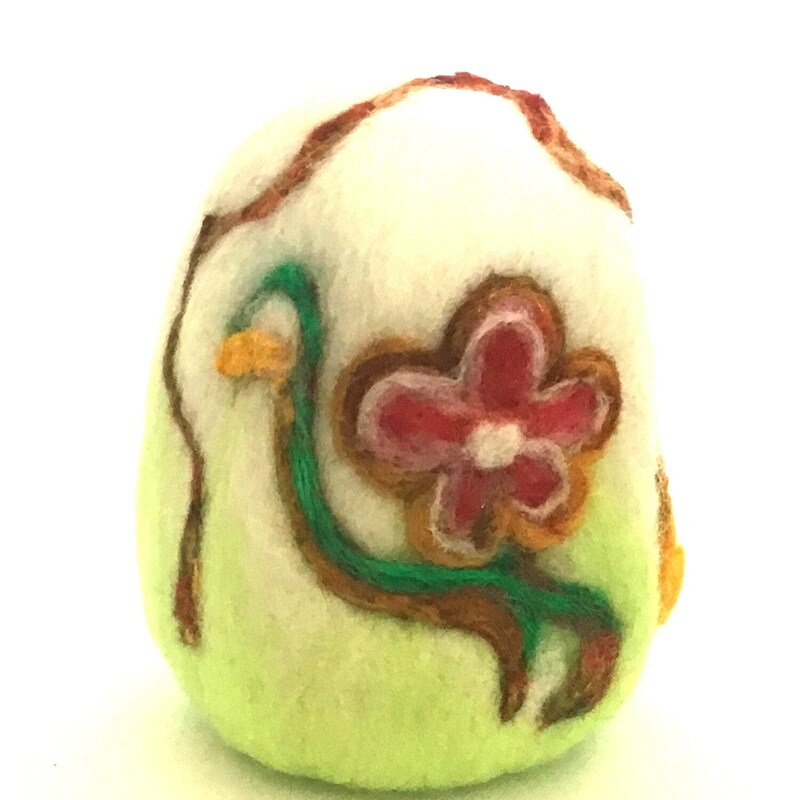 The size is 4" tall by 3" wide. 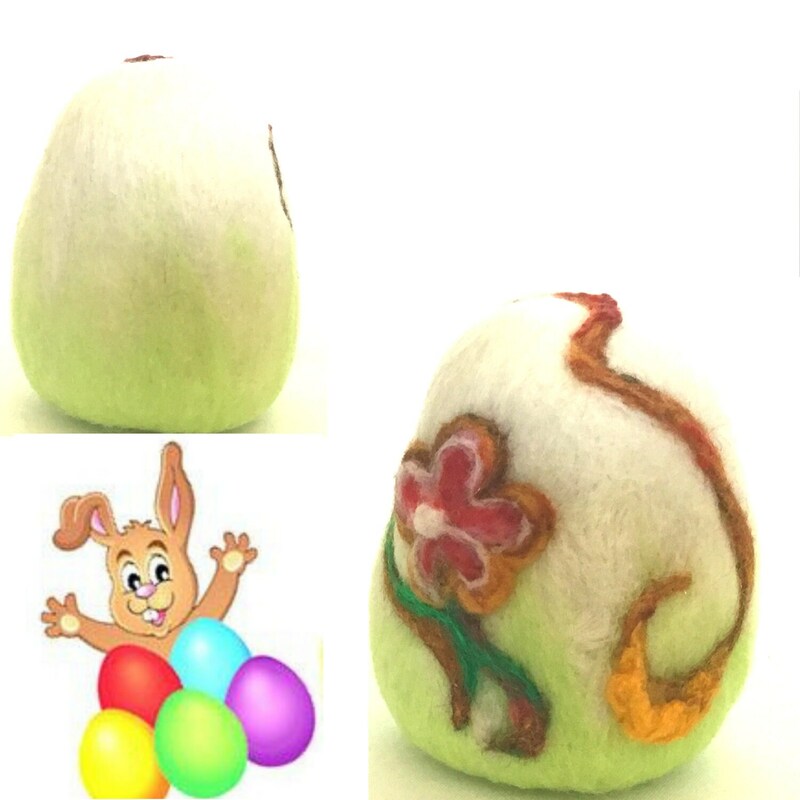 This is not a copy but an original one-of-a-kind egg, so that you can be sure that it will be appreciated. 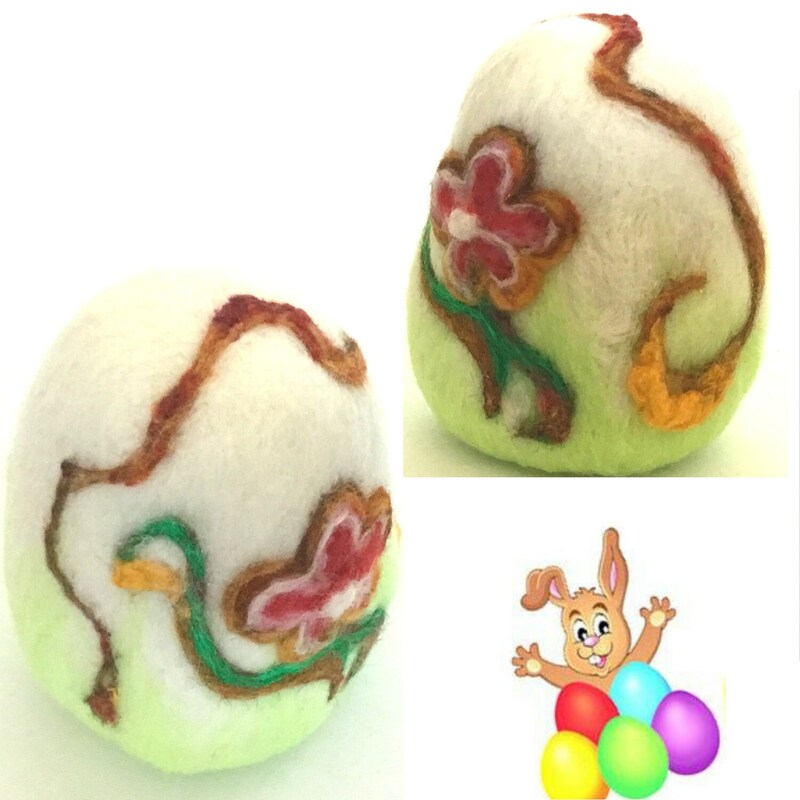 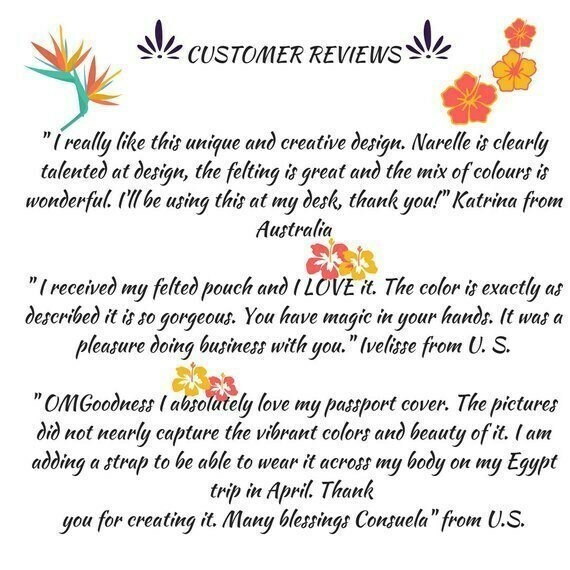 It will be sent in a gold organza pouch, for safe keeping or gifting!